As a FamZoo parent, you already know you can automatically split your child’s recurring allowance and/or chore payments between multiple accounts — like, say, spending, saving, and giving. 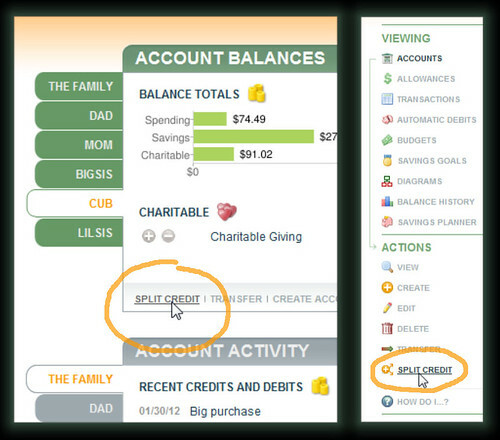 Just define the splits once up front when you’re creating the allowance or the chore entry, and you’re all set. But, what if you want to split a one-off deposit — like a birthday check from grandma or a babysitting payment — between accounts? Until last week, there was no super convenient way to do that. 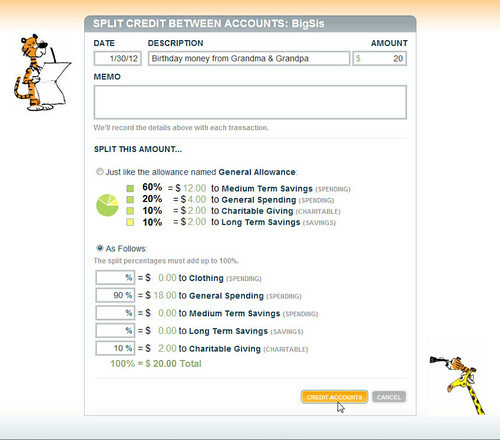 You had to calculate the split amounts in your head and credit each account separately. 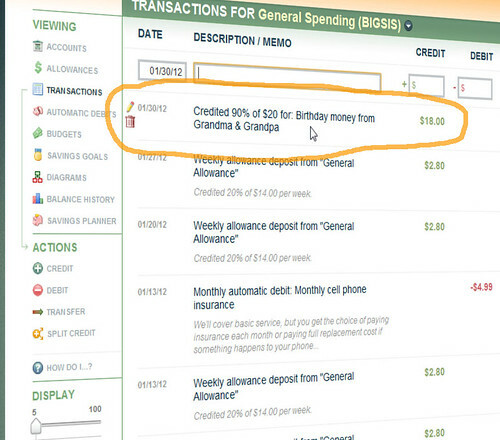 The new Split Credit feature takes care of all that for you in one simple step. You can either type in the specific split percentages you want, or you can quickly grab the split percentages off an existing allowance. You can find the new Split Credit link in two places: (1) in the footers of the Account Balances and Account Activity sections on the Overview page or (2) in the Actions section of the left-hand sidebar on the Accounts and Transactions pages within the Bank tab. Note: you’ll only see the links if you have access to more than one account for a given family member. In most cases, you’ll be asked to pick the family member for whom you’d like to split the credit. One exception is when you’re on the Transactions page. In that case, FamZoo will assume the desired family member is the owner of the account transactions you’re currently viewing, and you’ll jump directly to the next step. As the final step, fill in the date, description, total amount, and possibly a memo for your credit. Then, indicate how you’d like to split the total amount between accounts. If your child has one or more allowances, they’ll be displayed in the split section, and you can select one to pick up its predefined split percentages. Or, you can always enter whatever split percentages you’d like directly in the last set of fields. That can be handy if you aren’t using allowances, or if you don’t want to split, say, a birthday check, in the same way that you’re splitting allowance payments — maybe your kids gets to spend more of their birthday money! Click the Credit Accounts button, and you’re done. 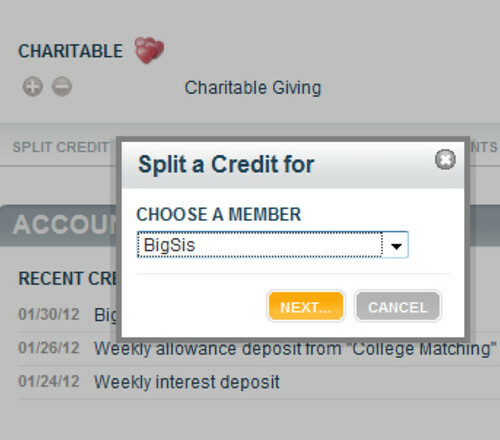 We hope you’ll like the new Split Credit feature. Give it a spin, and let us know what you think. Teaching Kids About Money: Who Are the Experts?